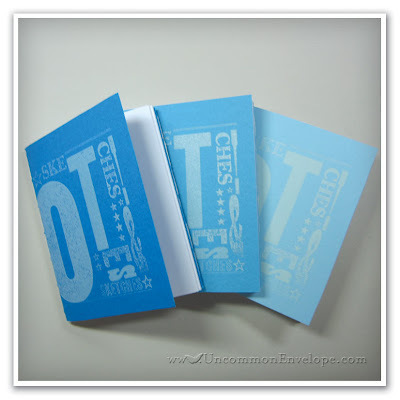 Uncommon Envelope: Daily Paper: New UE Notebooks! Daily Paper: New UE Notebooks! Self-promotion here! 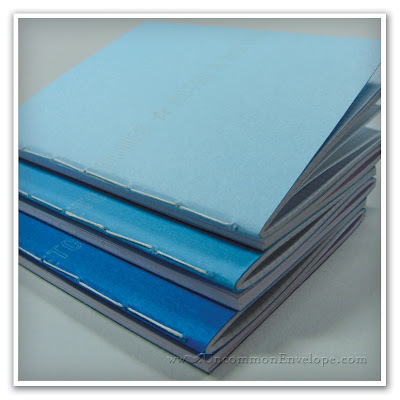 Check out our new product: Letterpressed and handbound Dos-á-dos notebooks! 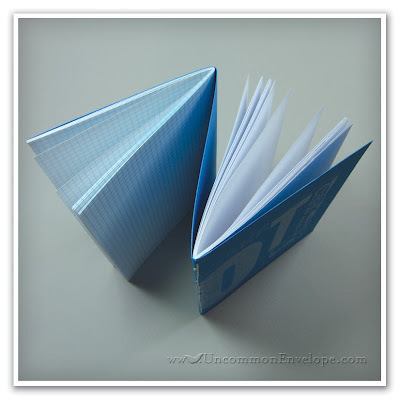 Each side contains 24 pages - one side of blank pages for sketches and one side of graph paper for notes. The cover is letterpressed in both sides, featuring the words "Sketches & Notes" in a variety of handset, vintage cuts and type! The cover was then scored and pamphlet stitched by me with linen bookbinder's thread. These notebooks come in 3 different shades of blue and I have a limited number (30) available for sale. Get yours in our Etsy shop while you can!